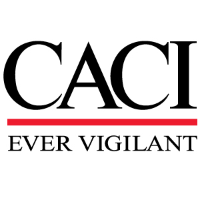 Team CACI has an exciting and challenging opportunity available for a Project Manager supporting an Intelligence Community customer's wide-area (WAN), local-area (LAN) and campus-area (CAN) networks across multiple security domains. The candidate will be responsible for all phases of project management including initiating, planning, executing, monitoring, cost control, and closing the project. Experience with daily face-to-face customer interface, strong communication skills and ability to quickly and efficiently resolve issues. Perform as a team member, interfacing across the program to manage requirements and meeting stakeholder expectations. Develop Project Plans, schedules, QUAD charts, and budget estimates. - Manage business, technical, and personnel for individual projects, such as engineering studies, network technologies and systems development for all project life cycle phases. - Achieve operational objectives by contributing information and recommendations to strategic plans and reviews. - Ability to provide Project status reports on a weekly basis using QUAD charts developed in PowerPoint. - Ability to work as a team with engineers, customers, and other subcontractors to coordinate resources and activities across various Projects. - Ability to manage multiple small (1 week) and large (1 year) Projects from start to finish by collaborating across various customers, functions, and locations. - Experience working with Microsoft SharePoint workflows. - Must have excellent communication and organizational skills. - Apply best-practice and disciplined project management principles to lead and execute approved engineering change orders or Requests for Change. - Work with customer project managers to clarify requirements, perform project kick-off meetings, determine project resource requirements, and help develop equipment and consumable requirements. - Develop Project Charters and Project Management plans based on government provided requirements and available resources. - Develop and maintain Project Master Schedules, milestone dates, and major activities based on priorities and funding. - Ensure compliance with all Government policies. - Represent customer requirements in technical exchanges with other government agencies. -Prefer a Bachelor's degree in Business or related field. - 8+ years related Project Management experience in Enterprise IT technologies, tools, and techniques. - Demonstrated experience managing project cost, schedule, and scope leading to successful project implementation. - Demonstrated experience with excel and PowerPoint. - Experience in planning, organizing and executing projects. - Experience in balancing various priorities, customer requirements, and activities. - DOD 8570 IAT Level 2. - Master's degree in Business, or related field.